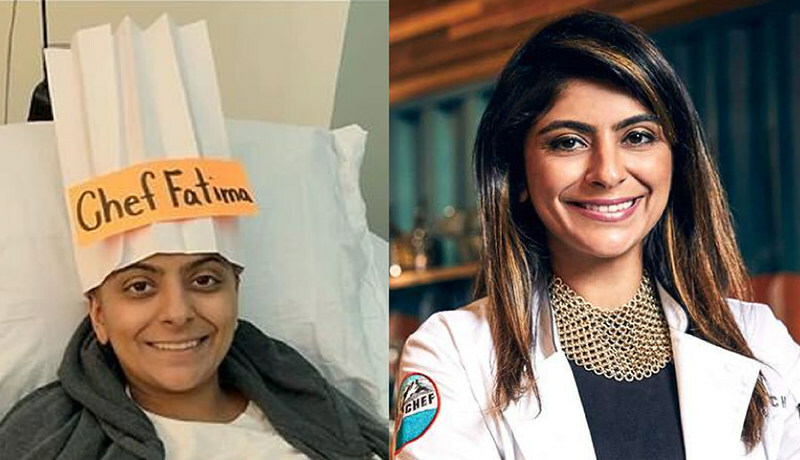 Sad news came from food network about the death of one of fan favourite top chef contestant Fatima Ali. She died on Friday after a prolonged fight with a rare form of cancer called Ewing’s sarcoma. Fatima was born to a Pakistani family living in America. Since her childhood she had a passion for foodShe dreamed of becoming a renowned chef with the best restaurant and joined Culinary Institute of America to sharpen her skills eventually becoming a sou chef in New York. Fatima or chef Fati as her friends call her was loved by all the contestants. She applied for season 15 of top chef and got selected. However become the winner of top chef and exited the competition with seventh place. Fatima was suffering from bone cancer, known as Ewing’s sarcoma, in 2017 and was declared cancer free. Unfortunately her happiness didn’t last long as her cancer was back. She appeared on the Ellen show where she discussed her ordeal and was surprised with a check of $50,000 from Shutter fly to help achieve her dream. Sadly something are not meant to be fulfilled. Fatima died on Friday the 25th leaving so many hearts broken and sad. The news of her death broke out after Chef Bruce Kalman a friend of Fati through instagram .The family when ask out the new of her passing confirmed it. Many viewed Fatima as their role model and followed her actively. They say she had inspired them to pursue their dreams. We can say that getting fame as a top chef contestant, Fatima Ali has beautfully endorsed life. Her death is a great loss to the culinary world. But, her fight with cancer and her courage to not lose hope in the face of crisis was something that taught people an art of living. Fatima Ali, the top chef contestant is no more but she will be remembered for continuing to live untill death.